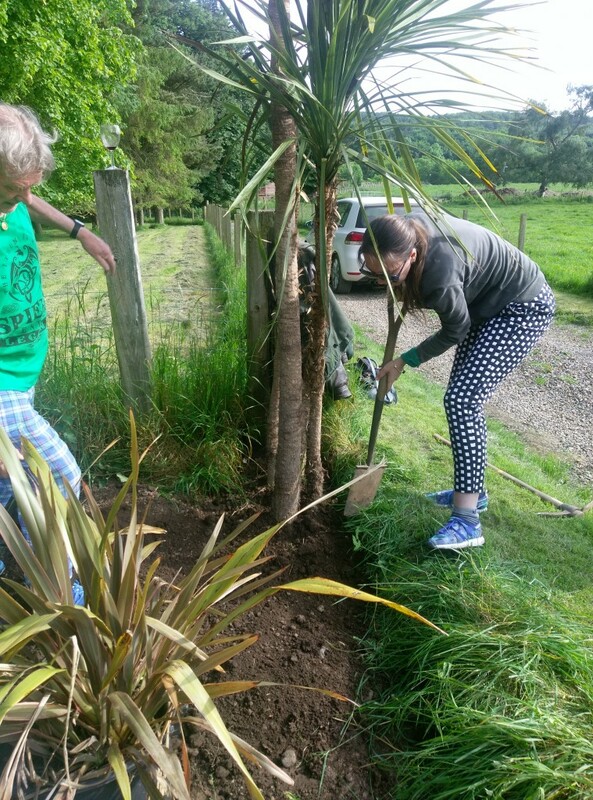 Last week close friends gathered in a garden of mansion near Temple, Midlothians to plant a memorial palm tree for Chris Van Schaak, who passed away after lung infection which he caught treating a rose in his garden in rainy weather, over half a year ago. Christopher was a person who made for me by hand my first silverpoint appliance, and who accompanied me on a road trip to Borders looking for Merlins grave and baptism stone, which we both identified. He probably identified himself with Merlin a little, maybe the astral meeting exploded the vortex of wisdom and carried him away into the realm of ancients. 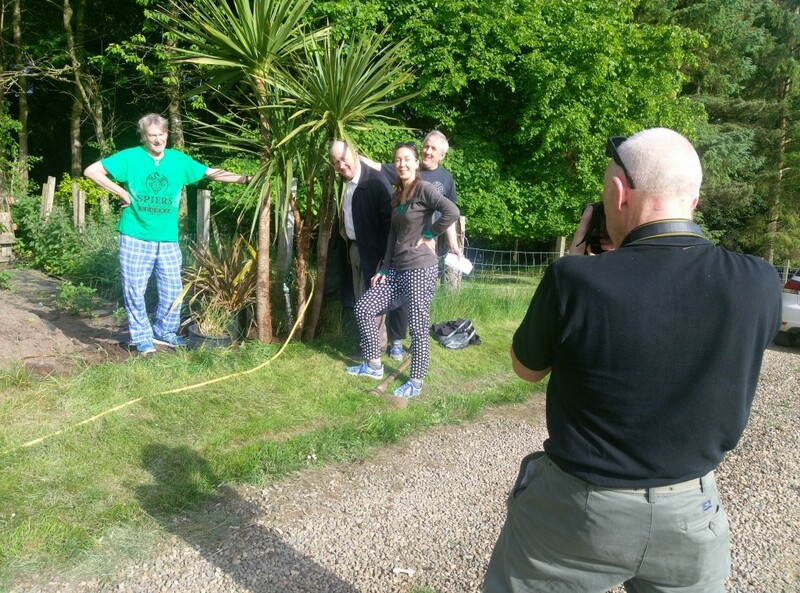 Posting abstracts from memorial speech by his friend, photos from palm ceremony and some silverpoints i had done on a journey to Merlindale, Stobo. “Christopher van Schaack would surely want to have been thought of for his labours and for his legacy. I thought I knew a bit about Artists materials. It was all readymade out of acrylics and pastels and chalks and inks and oils and pencils and wax and it came in pretty tubs and tubes and plastic pots that you could buy at Artists suppliers. You did not consider where it came from. In his choosing to create using the old methods of grinding down minerals at source to acquire pigmentation for painting – when just about everyone else had turned their back on this as a viable method and indeed forgot or held it in modern contempt – Christopher van Schaack was utterly unique in the Art world. At that level of unique in the sense that his was of a kind of weird esoteric genius and a labour of love. He truly believed in his Art. Others I have talked to do so too. “There was something old fashioned and Thomas Hardy-esque about Christopher and the way he would dress for special occasions with his bow tie. Perhaps he had been born in the wrong time period. It was during the time when our sun was in the constellation of Sagittarius that he was born in 1947. To a well to do Southern family from Birmingham Alabama in the US. They had owned plantations and also apparently slaves. His grandfather was a doctor. He had a stormy relationship with his father, though, who according to one source, kind of abandoned him. His mother, Margaret and he were very close though and they maintained a special connection up to her death in 2008. She was a noted researcher, writer and curator in the field of fine arts and a specialist in 19th Century furniture. Christopher also had a sister, Anne Hope but she died earlier. One senses that there is a family tragedy to be found there. Anthony told me that within the American counterculture Christopher was in fact instrumental in setting up Health food stores in Hawaii and also bicycle racks. Anthony was in Glasgow at the time and got Christopher his ticket. They swapped in fact. Christopher to Europe, Anthony to Hawaii. Christopher lived in a famous “let it all hang out” type hippie commune called “Taylor camp” in Maui, Hawaii in 1969 at the time.